Green fluorescence protein (GFP) is a protein composed of 238 amino acid residues (26.9kDa) derived from the jellyfish Aequorea Victoria which emits green light (emission peak at 509nm) when excited by blue light (excitation peak at 395nm). GFP, when exposed to light in the blue to ultraviolet spectrum, will show a bright green fluorescent light, making it a very useful tool in research. What is the molecular weight of GFP? GFP was first isolated from the jellyfish Aequorea Victoria, a source of bioluminescence, in the 1960s and in 2008 the Nobel Prize in Chemistry was awarded “for the discovery and development of the green fluorescent protein, GFP” to Osamu Shimomura and colleagues, who recognized its potential in research (PMID: 13911999). A short amino acid sequence within the protein acts as the chromophore, which absorbs UV light at 395 nm and emits green light at 509 nm. 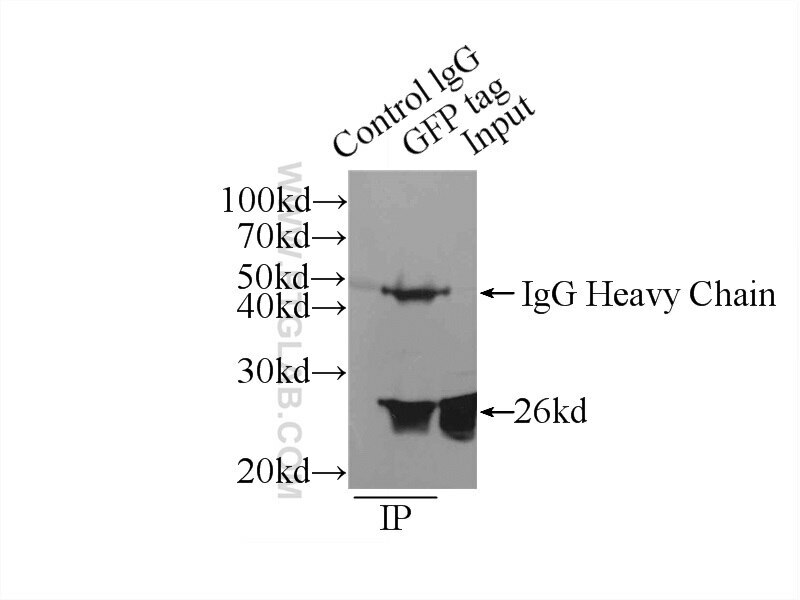 Why is GFP a useful reporter? When GFP was sequenced in 1992 (PMID: 1347277) it allowed scientists to express it in other organisms using transgenic techniques. It does not require cofactors to work, is non-toxic to live cells, and is relatively small, making it ideal as a “tag” for other proteins, identifiable by shining a UV light and observing the green fluorescence. The tertiary folded structure of GFP forms a chromophore at the center of a barrel shape, which protects the fluorescence-emitting amino acid chain from solvents, meaning it can function in many environments (PMID 9759496). What are the applications for GFP? 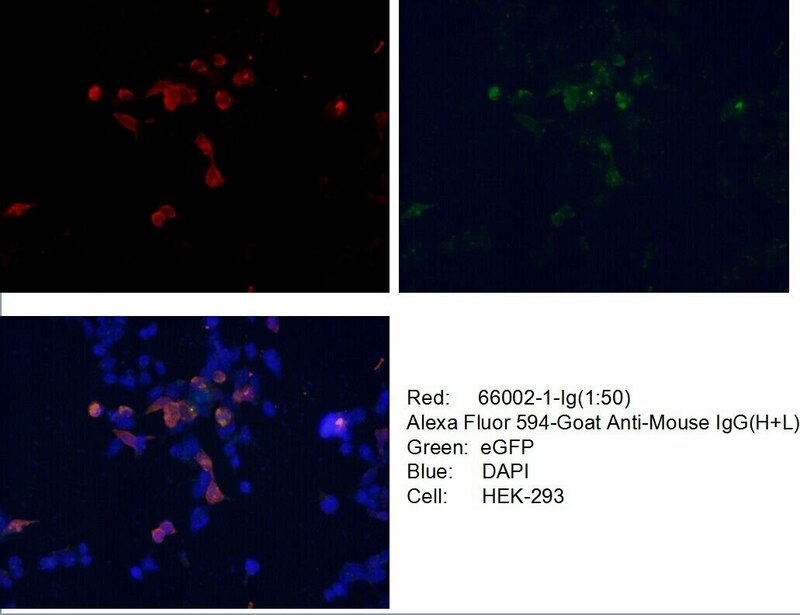 When expressed attached to another protein, GFP can be used as a reporter gene to measure expression levels or can easily be used in fluorescence microscopy. It has been used to highlight proteins in a variety of model organisms, including bacteria, zebrafish, and mice. A deubiquitinase negatively regulates retro-translocation of nonubiquitinated substrates.